"A bombshell of a book which makes clear why Putin's regime -- though successful in conning Bush -- does not have a bright future." 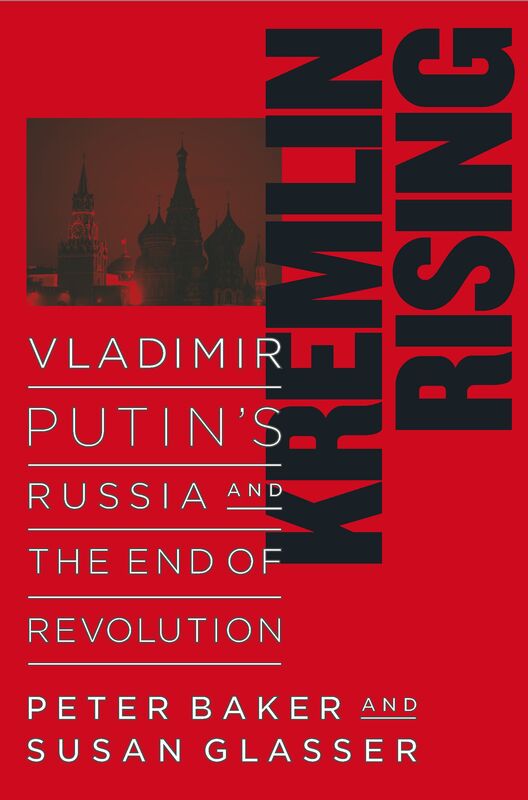 "Here is the first great book on the new Russia, as fresh as this morning's headlines and great fun to read. Baker and Glasser have cracked the code -- they explain Putin's Russia in terms any intelligent reader can understand. It is a grim story, told in vivid detail with great narrative skill. If Vladimir Putin uses his newly acquired English-language skills to read this book, he won't like it. But readers curious about what has happened to the country we once considered our most important rival won't want to put it down." 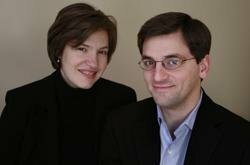 "Peter Baker and Susan Glasser have achieved something very unusual: They have given clarity and coherence to the confusing and contradictory story of Putin's Russia. Cutting through propaganda and conventional wisdom, they examine everything from terrorism to pop music in order to paint an uncannily precise portrait of contemporary Russian society." "The latest chapter in the epic story of Russia is superbly told in Kremlin Rising. Baker and Glasser's assessment of Vladimir Putin's leadership is especially vivid and scathing in its portrayal of his antidemocratic instincts." "This devastating indictment of Vladimir Putin will remove the blinders from anyone who stills sees post-communist Russia as moving toward democracy. Baker and Glasser trace Putin's moves to turn back the revolution and restore authoritarian rule. Most distressingly, they claim he has the support of Russia's majority who prefer firm control to chaos. Using lies and various forms of manipulation, Putin has gone after all sources of opposition - the independent media, local governors, national legislators and the oligarchs who helped his rise to power. Dissidents who once fought Soviet power have been marginalized in their efforts to call attention to these excesses and to the tens of thousands of casualties of the war against Chechnya. This is compelling reading, a timely and important book." --Jeri Laber, a founder of Human Rights Watch, author of The Courage of Strangers: Coming of Age with the Human Rights Movement. "A superb portrait of Putin's Russia by two reporters with an eye for the telling detail, an ear for the subtext of Russian life, and balanced, probing judgments about one of the most important dramas of our time."